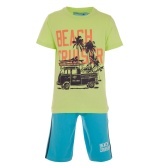 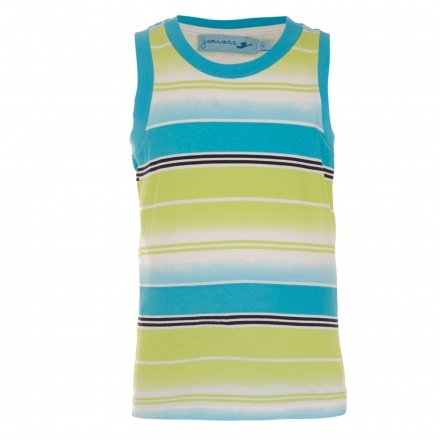 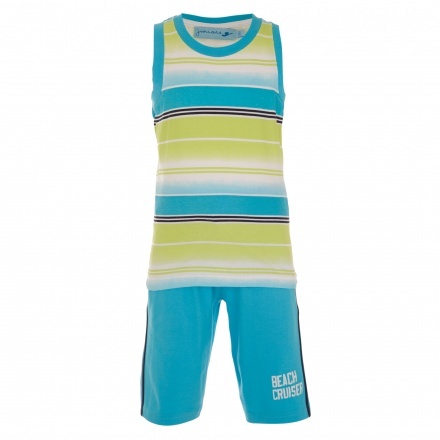 Let your kid'stand out from the crowd wearing this 3-piece pants and t-shirt set. 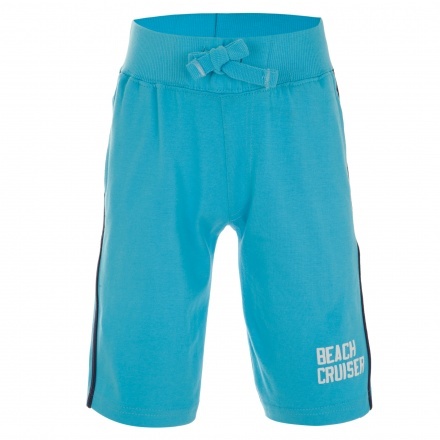 The pants features an elasticised waistband with a drawstring. 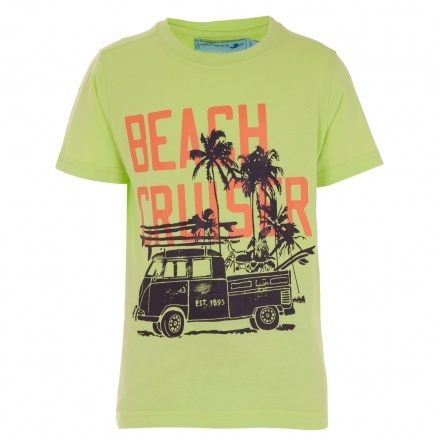 It comes with two t-shirts, one'sleeveless t-shirt and other printed one features short sleeves.